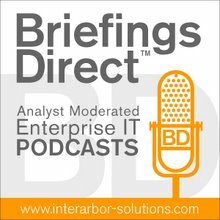 Welcome to a podcast panel discussion on identifying the top reasons and paybacks for adopting cloud computing. Reed: When we go into all of this discussion around what is the benefit [to cloud], we need to do our standard risk analysis. There’s nothing too much that's new here, but what we do see is that when you get to the cloud and you're doing that assessment, the [payoffs] come down to agility. Linthicum: This notion of business agility is really where the money is. It's the ability to scale up and scale down, the ability to allocate compute resources ar ound business opportunities, and the ability to align the business to new markets quickly and efficiently, without doing waves and waves of software acquisitions, setups, installs, and all the risks around doing that. That's really where the core benefit is. But you have to weigh that benefit in line with the innate risks in moving to these platforms. Whether or not you are moving from on-premises to off-premises, on-premies to cloud, or traditional on-premises to private cloud computing, there’s always risk involved in terms of how you do security, governance, latency, and those things. Once you factor those things in and you understand what the value drivers are in both OPEX and CAPEX cost and the trade-offs there, as well as business agility, and weigh in the risk, then you have your cost-benefit analysis equation, and it comes down to a business decision. Nine times out of ten, the cloud computing provider is going to provide a more strategic IT value than traditional computing platforms. Reavis: When you think about the economics, what’s the core of economics? It's supply and demand. Cloud gives you that ability to more efficiently serve your customers. It becomes a customer-service issue, where you can provide a supply of whatever your service is that really fits with their demand. The source of those services is less about how much hardware and software you need to buy and integrate and all that sort of thing, and more about the most economical and secure way that they can deliver the majority of desired outcomes. You don’t just want to build one service to provide a capability. You want to build an environment and an architecture that achieves the bulk of the desired outcomes. Linthicum: Cloud computing will provide us with some additional capabilities. It's not necessarily nirvana, but you can get at compute and you can get at even some of these pretty big services. For example, the Predictive API that Google just announced at Google I/O recently is an amazing piece of data-mining stuff that you can get for free, for now. Reed: I think the incentives, the risks, and all those things with cloud computing change, dependent on the type of business we're looking at. Linthicum: Moving into cloud is going to make people think in a very healthy, paranoid state. In other words, they are going to think twice about what information goes out there, how that information is secured and modeled, what APIs they are leveraging, and service level agreements (SLAs). They're going to consider encryption and identity management systems that they haven’t done in the past. Reed: There will be businesses that are willing and able and can manage cloud-type environments to their benefit. But, eventually, the gaps become so small and the availability of these services online becomes so ubiquitous that I'm not sure how long this window goes for. Reavis: The organizations that are developing what they think is state-of-the-art -- but it’s not cloud -- are going to be struggling, because all of the neat, interesting new developments. It’s hard to even put your head around all of implications of compute-as-a-utility and all the innovation we are going to see, but we know it’s going to be on that platform.